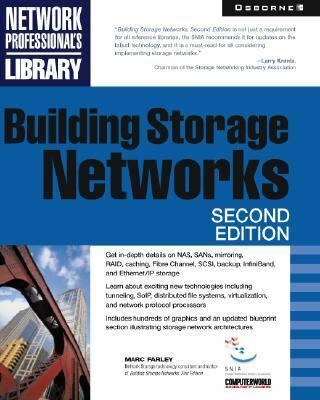 Plan, design, and implement network storage solutions with help from this definitive guide Develop and design successful storage systems using this in-depth resource, now in a completely revised second edition. Covering everything from basic fundamentals--such as I/O components and file systems to emerging topics such as i-SCSI and DAFS--this complete book delivers the background information and technical know-how to implement large-capacity, high-availability storage networks throughout your enterprise. Filled with diagrams and easy-to-understand explanations, you will be able to identify and apply network storage technology to best meet the needs of your organization. Determine the roles of networks, file systems, databases, and volume managers Get details on data protection techniques including mirroring, replication, and backup Analyze and contrast RAID levels 0, 1, 3, 4, 5, and 0+1 Clarify the options for integrating Ethernet and IP networks with storage networks Measure the impact of InfiniBand, DAFS, and clustering Plan 24 x 7 Internet-based storage including storage service providers (SSPs) Reinforce concepts you've learned through chapter exercises Visit companion Website at: www.buildingstorage.comFarley, Mark is the author of 'Building Storage Networks', published 0000 under ISBN 9780072130720 and ISBN 0072130725.